Compare prices from several car hire companies in Gran Canaria Airport and find the best price for car rental. Our prices always include unlimited mileage and insurance. 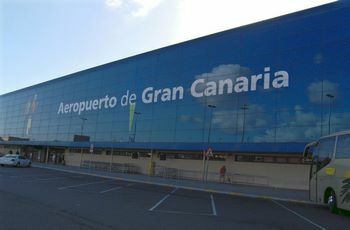 Gran Canaria Airport (LPA) is also known as Las Palmas Airport for its location 20 minutes south of the island capital Las Palmas de Gran Canaria. Buses run to the airport via the highway GC1 that goes right past. There are several car rental companies and that there is a taxi rank just outside the arrival hall. In 2009, the Gran Canaria Airport handled over nine million passengers, making the airport to the nation’s 5 busiest. The airport welcomes many airlines including Air Europa, Condor, Spanair and Ryanair. It offers flights to many parts of Europe, from Copenhagen to Milan. Gran Canaria Airport boasts many shops and restaurants in addition to the playroom, meeting room and internet cafe. The runway has the opportunity to greet NASA’s spacecraft.